The genus name Dioscorea was given in honor of Dioscorides, a renowned first-century Greek herbalist and physician. The common name yam derives from the Spanish name for the plant, "name." This perennial is rather beanlike, with meandering, twisting, climbing vines. Dioscorea japonica and D. polystachya are native to eastern Asia, while D. bulbifera is native to Africa and Asia and D. villosa is native to North America. The flowers are yellow, green, or lavender, the roots long and tuberous, and the leaves simple or palmately lobed. Wild yam contains discin, a compound the body converts to diosgenin, which is a precursor to progesterone, was once used to make birth control pills, and is also made into steroidal compounds. Wild yam also promotes the normalization of progesterone and estrogen levels, moves stagnant chi, calms the liver, relaxes the nerves, tonifies the stomach and spleen, and stimulates interferon production. In Zulu tradition it is used as a remedy for convulsions, epilepsy, and hysteria. Wild yam is used in the treatment of colic, cough (dry), depression, diarrhea, diabetes, diverticulitis, dysmenorrhea, emotional weakness, enteritis, enuresis, erectile dysfunction, exhaustion, fatigue, flatulence, hemorrhoids, immune-system weakness, infertility, irritable bowel syndrome, labor pain, leg cramps, low sperm count, lung weakness, menopause symptoms, morning sickness, muscle spasms, neuralgia, night sweats, ovarian pain, polyruria, premenstrual syndrome, rheumatoid arthritis, rheumatism, senility, and spermatorrhea. It can also be of use in cases of threatened miscarriage. 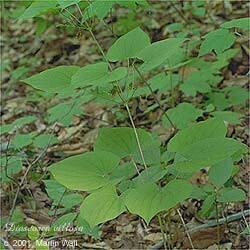 Topically, wild yam can be made into a salve to treat eczema or a poultice to treat bruises and scabies. In recent times wild yam has been incorporated into a number of salves designed to enhance hormone production and balance in women. The roots of wild yam species with opposite leaves are edible. However, the roots of species with alternate leaves are poisonous. Of the edible species, some roots are more starchy-tasting than sweet; D. betata and D. villosa are among the best of the edible wild yams, once their tough outer skin has been removed. Avoid large doses during pregnancy, except under the guidance of a qualified health-care practitioner. Avoid large doses in cases of constipation or high blood pressure. Many species in the genus have poisonous tubers, so eat only those that are known to be edible.